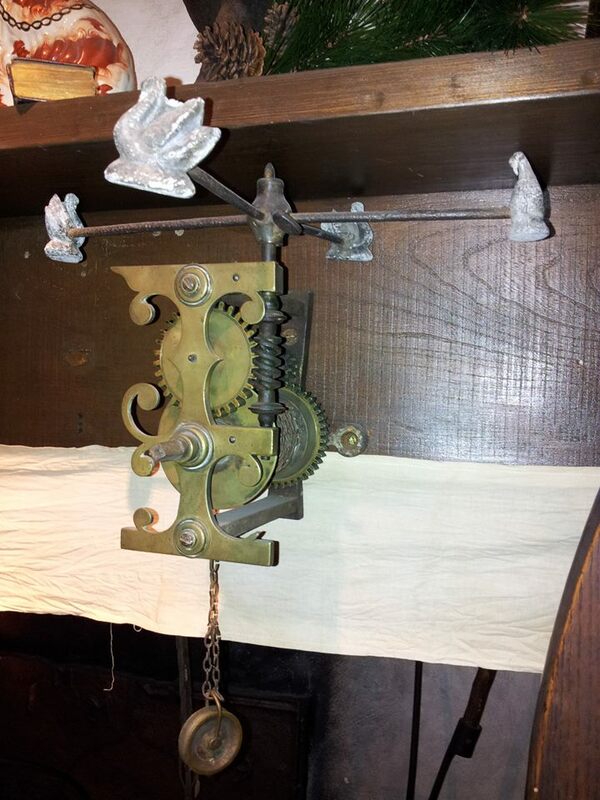 This unusual fireside clockwork mechanism was used for turning a spit. The spit itself was used for rotisserie roasting meat before an open fire. This was a long and toilsome task if done continuously by hand. Prior to this, servants, children or even small dogs were used to rotate the spit! It can be seen in our Devon Farmhouse Gallery as part of the Charles Laycock Collection. The Exhibit forms one of the most important Social History Collections in the country containing a variety of rare and unique rural and farming objects.